Passionate about data and numbers? Seeking a role within an organisation that understands the importance of robust business performance data reporting in informing decision making and measuring our success against our ambitious corporate plans? If so, we’re recruiting a Performance Information Officer to join our Quality & Customer Experience department; a key role tasked with producing accurate and reliable daily, weekly and monthly operational business reports which provide insight on outputs and trends relating to the quality and reliability of our service delivery to colleagues across our organisation. Using your keen eye for detail you’ll collate, analyse, interpret and benchmark all feedback about our organisation’s service; using this information to provide evidence of our contractual, regulatory and KPI compliance. Importantly, as we work to continuously improve our services, you’ll work with operational colleagues to agree, develop and track service improvement activities in response to performance information – ensuring that the data and information you provide is contributing to us “Making what Matters Brilliant”. Who are Midland Heart? We’re a large and ambitious housing organisation providing more people an affordable place to call home. We welcome people from every walk of life, at every stage of their career. We expect a lot from our people but in return you can be assured of a great place to work, where you will be well rewarded and where great people are able to succeed. Whether you want to build your career with us, or use your experience to move on, we’re here to develop your potential. Our ideal candidate? You’ll come equipped with strong experience of collating and analysing statistical information, as well as experience of preparing written reports in a variety of formats, which are tailored to the needs of your audience. A keen eye for detail is essential and you’ll demonstrate a talent for analysing and interpreting raw data from a variety of sources – identifying trends, anomalies and errors that may significantly impact the reliability of our reporting and service delivery. Interested? Applying is easy – simply register on our candidate portal and submit a CV and cover letter, which together convince us that you have the skills, experience and knowledge to make a success of this role and your future career with Midland Heart. Closing date for receipt of completed applications is midnight on Sunday 28th April 2019. Recruitment Agencies please note that we do not accept speculative CVs and should one be submitted, we will assume the candidate is our own. 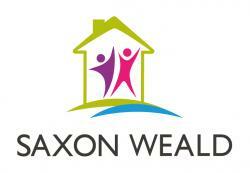 We are a leading provider of homes and excellent services in Britain's rapidly developing Ocean City. We have a clear social purpose with people at our heart and have a major investment programme to increase the number of homes in and around Plymouth and enhance the quality and efficiency of our services. We have also planned a substantial investment in technology to support our forward looking digitilization strategy which underpins our corporate ambitions. We are looking for a dynamic individual to head up our Digital & Information Technology Services with the drive to harness advances in technology to deliver on our ambitions. You will be seeking a contemporary and flexible working environment that offers variety and a chance to contribute to the success of an established major player in the social housing sector, whilst developing your own skills in a business focused team. As you would expect from a sector leader we offer: An attractive and competitive salary Great working environment Flexible working Excellent defined contributions pension 25-30 days leave (after 5 years) plus bank holidays Onsite free gymnasium A significant investment in learning and personal development The opportunity to live in a beautiful and vibrant part of the Southwest Relocation support may be available Please refer to the person specification and demonstrate how you consider that your knowledge, skills and experience meet the requirements of the job. To apply please click 'apply for job' button below and follow the instructions. Alternatively, please send your CV to recruitment@plymouthcommunityhomes.co.uk. For an informal discussion about this role, please contact Nick Jackson on 01752 388302. Please note that the closing time for applications is midday on 29th April 2019. Short listing date: 29th & 30th April 2019 Interview dates: 13th & 14th May 2019 We are a committed Equal Opportunities employer. We welcome applications from suitably talented people from any community and background. Newcastle Based Competitive Salary and Benefits Job Summary As a key member of the marketing team the Solutions Marketing Manager will be the conduit between Product Management and Sales, taking Orchard’s software and service offerings to market. You will be responsible for developing the messaging, marketing tools, sales aids and execution of the go-to-marketing campaigns to cross sell/upsell to existing customers and sell to new prospects. About Orchard Orchard is a business full of great, talented people, which is based at the heart of Newcastle city centre in vibrant office space. We are constantly working to ensure that we create a happy environment for our staff to learn and develop. We operate within an incredibly important sector, with our customers providing affordable homes to those often most in need of social housing. Our software and services can really help to improve the lives of those in need. We believe in recognising that our people have valuable skills to help our business to succeed and enjoy celebrating our shared successes. Principal Responsibilities To review and refine existing messaging, materials and sales aids and create new ones as required to support selling to existing customers and prospects. Develop persona based software and service solution messaging that differentiates Orchard from others in the market Communicate the value of software and service solutions to the sales team and develop sales tools that facilitate the selling process Plan, take part in and orchestrate the launch of new products and services to the market. Through interviews, surveys, focus groups and sales data, gain insight into customer use of current products, untapped opportunities and buyer personas Review inventory levels of materials to ensure availability Create software and service solution content such as presentations, case studies, videos, website copy, thought leadership articles and blog posts. Develop and execute go-to-market campaigns to generate leads and other KPIs in order to help sell the different solution/service offerings to customers and prospects. In conjunction with partners and third parties, develop and implement joint solution/services go-to-marketing programs to deliver pre agreed targets. Measure the effectiveness of product launches and campaigns and make recommendations for future investments and improvements. Update and train sales and other internal teams on value propositions, messaging and positioning so that they are up to date and fully equipped to sell. Establish timescales for the development of new content and sales aids with product management. Research competitor offerings and react when appropriate Propose and keep within a budget Key Skills Essential Collaborative skills: As a Solutions Marketing Manager you will have to work with teams across Orchard. This will often include the sales, product management, development and senior executives. Communication skills: Speaking, writing and presentation abilities have to be tapped in this role. You will frequently have to write and present engaging copy, telling the ‘story’ of products, for various marketing channels. Project management: Ability to manage multiple projects at one time, delivering the best quality outputs on time, keeping all stakeholders involved in the process. Key Experience Essential Experience of working in a software business Enjoy working in a fast paced environment CIM or other accredited marketing bodies desirable but not essential Creative design skills, inDesign, Adobe Creative studio experience desirable Salary and Other Benefits A basic salary commensurate with job holder’s skills and experience Membership of the Company Group Income Protection Benefit and Death in Service Benefit schemes and Westfield Health scheme Membership of the Company pension scheme To apply for this role, please email with a CV and covering letter. The company reserves the right to vary or amend the duties and responsibilities of the post holder at any time according to the needs of the company’s business.